In 2017, Callaway adds to the legacy of their flagship series with the Great Big Bertha Epic drivers and fairway woods. The Epic woods feature some impressive new additions. Engineers in Callaway’s R&D department introduced a bold new way to design the structure of a driver head, starting with Jailbreak Technology. This innovation inserts two Jailbreak 3G Titanium bars behind the clubface. These bars alter the behavior of the club head and face at impact promoting increased average distance by providing less bulge and flexion. Combined with the dual Jailbreak bars, the Titanium Exo-Cage and ultra-light Triaxial Carbon Crown (9.7 grams, Callaway’s lightest ever!) work together to produce maximum forgiveness and higher ball speeds across a larger area of the face. The 17-gram redesigned sliding rear weight allows 21 yards of shot shape selection making this driver 100% for players who need to upgrade their outdated driver or simply want the latest technology. Plus to 36 handicaps. This is one gorgeous looking driver! The attention to detail in the fading Triaxial Carbon Crown and Sole, the small Epic Green alignment highlights and shape make this one of the best looking heads out there. I noticed right away that with a 9-degree head this driver launched at a lower angle than usual for me. The sound was more on the muted side, which seems to be the case with composite-crowned drivers. However, I’m not sure if the Jailbreak Technology has anything to do with the different sound produced. The head provided very responsive feedback to my hands and I had no problem feeling the location of impact on the face. My flight pattern had some extra spin on it, but I felt that was due more to a layoff following a minor shoulder injury than anything else. Since I test all offerings in a neutral setting, I did not move the rear weight to create a bias. Though, with up to 21 yards of shot shape selection, I’m positive players will be able to dial in their desired shape when adjusted. I found the face shape interesting. The Jailbreak bars seem centered on the sole area, but not lined up with the face. This gave the appearance that they were more aligned on the heel-side. Also, the alignment aid on the top of a driver head is normally centered, but it is noticeably (albeit slightly) positioned towards the heel-side on the Epic. 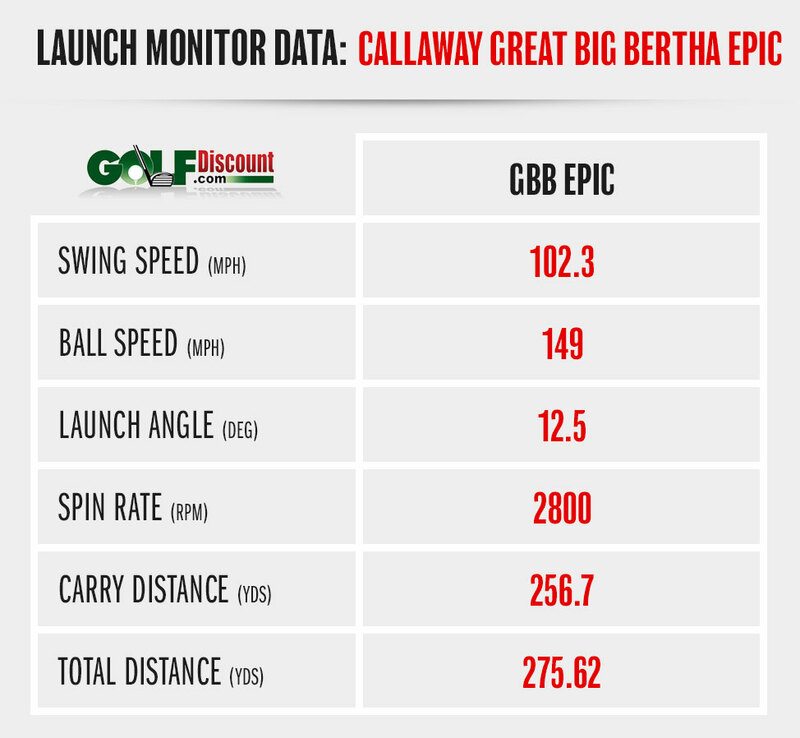 Overall, the Great Big Bertha Epic Driver is one of the nicest Callaway offerings I have tested. Callaway developed the Great Big Bertha Epic fairway woods with the new ultra-light Triaxial Crown. 78% lighter than steel, the weight savings is repositioned to strategic internal locations to increase MOI, lower the CG and achieve maximum forgiveness. The easy launch conditions and added power are assisted by the 4th generation Face Cup Technology, delivering faster ball speeds across the face (especially on mishits). With loft options from a 3+ (strong 3-wood) to Callaway’s famous Heavenwood, Epic fairway woods are for all players. Plus to 36 handicaps. 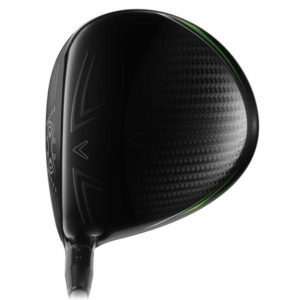 The Great Big Bertha fairway woods have the same stunning jet black, exposed carbon appearance with subtle green highlights as the Epic drivers. The sound has a bit higher pitch compared to the Epic driver, but it isn’t too loud. A slightly shallower head promotes easy launch conditions off the tee, off the deck and out of the rough. The ball flight was a touch on the lower side for a 15-degree head, but still very flat. Combine the Epic fairway woods with the Epic driver for an excellent and forgiving set of woods. 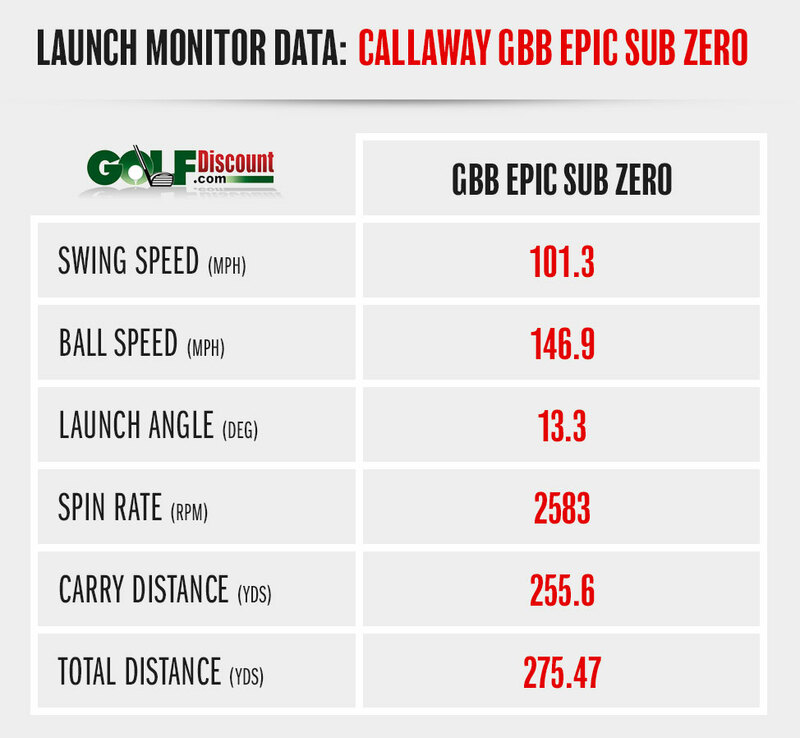 The Callaway Great Big Bertha Epic Sub Zero driver includes the same Jailbreak Technology, Titanium Exo-Cage and Triaxial Carbon Crown as the Epic driver. One key difference to the Sub Zero from the standard Epic driver is the exchange of the sliding rear weight for two interchangeable sole weights (2-grams and 12-grams) that adjust spin-rate and launch angle. Putting the 12-gram weight in the front port creates lowers spin and higher launch and MOI in the back port. 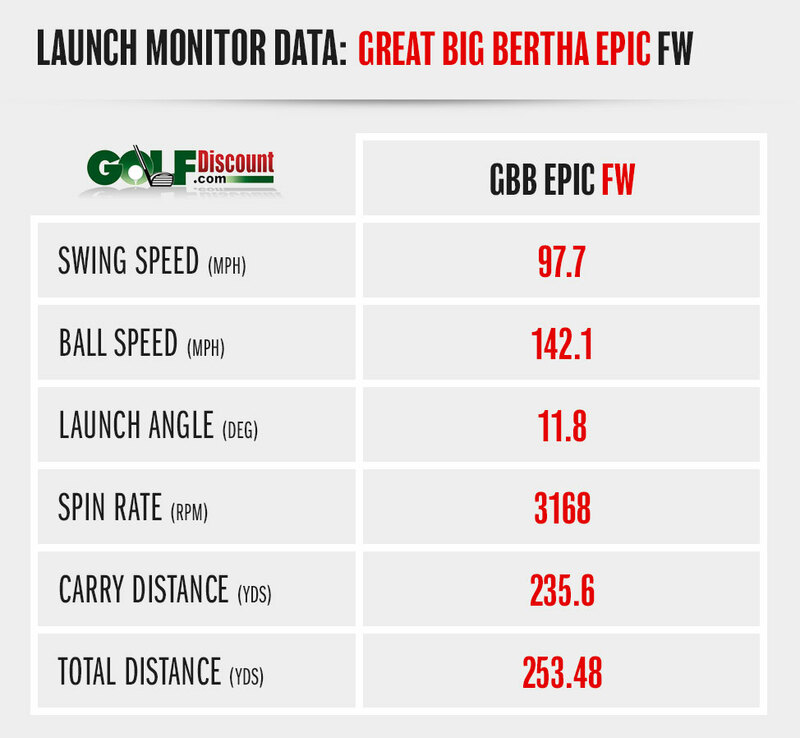 The Great Big Bertha Epic Sub Zero driver is a powerful, low-spinning, Tour-level driver geared towards players with higher swing speeds and players who create too much spin. Plus to 16 handicaps. Just like the standard Great Big Bertha Epic driver, the looks are just fantastic on the Sub Zero driver. Overall, this head has a cleaner look on the sole, with only two small weights distracting your eyes from the mesmerizing carbon. And, I also liked the sound of the Sub Zero more than the Epic driver. Based on my testing with the standard Epic Driver, I tested the Sub Zero with a 10.5-degree head and the heavier weight in the rear port for higher launch and MOI. Bingo! I was dialed right back in to my perfect ball flight. Even though visually I tend to prefer less loft to the face at address, the results of this driver make it easy to look past. A standout driver for 2017! The Great Big Bertha Epic Sub Zero fairway woods offer the same design, ultra-light Triaxial Crown and 4th generation Face Cup Technology as the standard Epic fairway woods. However, like the Sub Zero driver, the Sub Zero fairway woods incorporate interchangeable front and rear weight ports (3-gram and 22-gram weights) in the sole to create a higher or lower launch, spin and trajectory. With the ability to change the CG by exchanging the sole weights the Sub Zero fairway wood will be to the liking of more experienced players. It is also a good option for players who are seeking a lower spin-rate and launch angle compared to the standard Epic fairway woods. Plus to 18 handicaps. 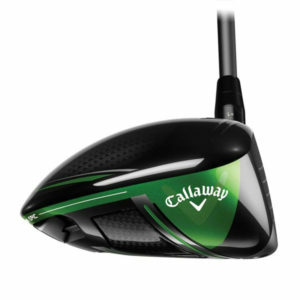 This is a super nice fairway wood in looks and playability, like many of the previous Callaway fairway woods. I really liked the appearance of its slightly smaller head shape, about 10cc smaller than the Epic fairway woods. 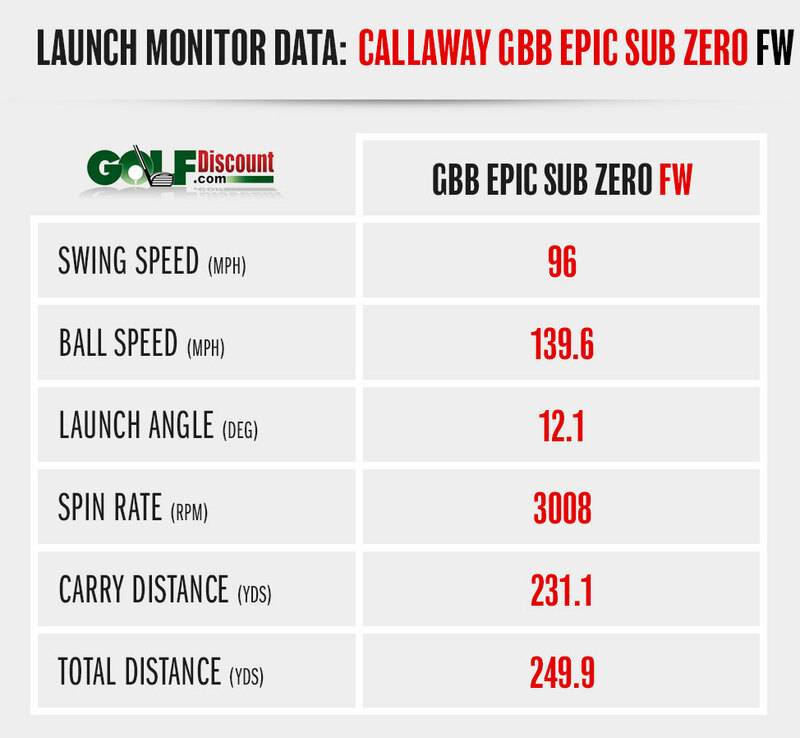 With the weight back, the Sub Zero fairway wood produced a towering shot off the tee and a ball flight that was mid-high, but still very flat off the deck. With the heavy weight forward it was a monster off the tee, but not as good off the deck. Similar to the Sub Zero Driver, I preferred the sound, feel and playability of the Sub Zero fairway woods. Try them all to see which are best for you! BOB, I agree with much of your assessment, especially noting the ‘towards the heel’ profile. My bad drives are always a pull, but this driver is very fade biased. In fact, it was so much fade biased that I got rid of it and went to the new TAylormade M2 Driver, which plays very neutral. Thanks for your insightful reviews.